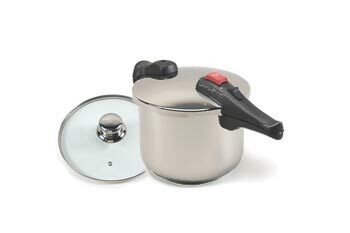 All stainless steel pressure cookers can be used on induction stoves (this includes glass-top stoves). 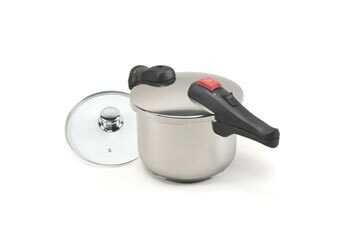 Designed by Wisconsin Aluminum Foundry, the same company that makes the All American Pressure Canner line, Chefs Design Pressure Cookers are dual function premium pressure cookers crafted of the finest 18/10 stainless steel for durability, safety and ease of cleaning. The bottoms are made with an aluminum/steel "sandwich" for superior heat conductivity. 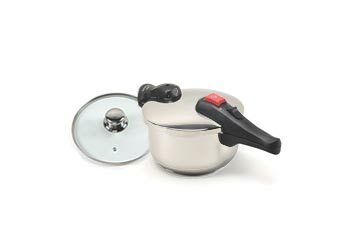 Finished with an attractive mirror-like finish Chef's Design Pressure Cookers include a tempered glass cover that converts the cooker to a traditional sauce pan. 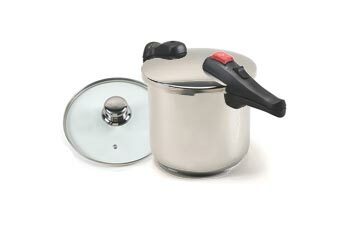 Compare the Chefs Design Pressure Cookers with others on the market...you won't find anything else quite like them!